This isn’t the real maiden flight…on the first flight I had waaaaaaaaay too much throw on all surfaces, and the camera upfront wasn’t secured so it fell right after take off making it tail-heavy. 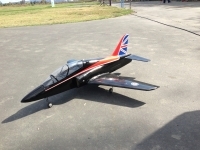 I managed to land it, I secured the camera and dialed down my rates. 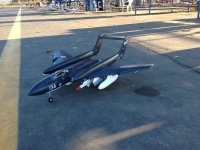 After that the plane flew very stable. 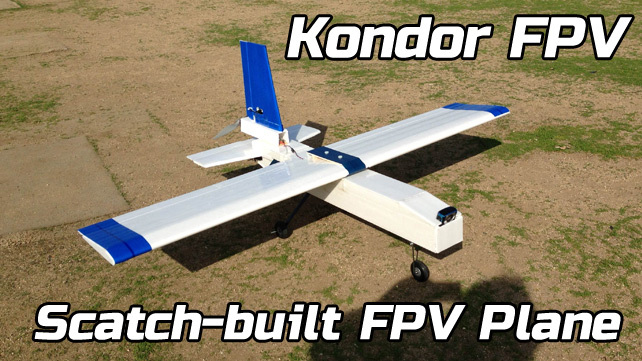 This is the maiden flight video and eventual crash and demise of this beautiful plane. 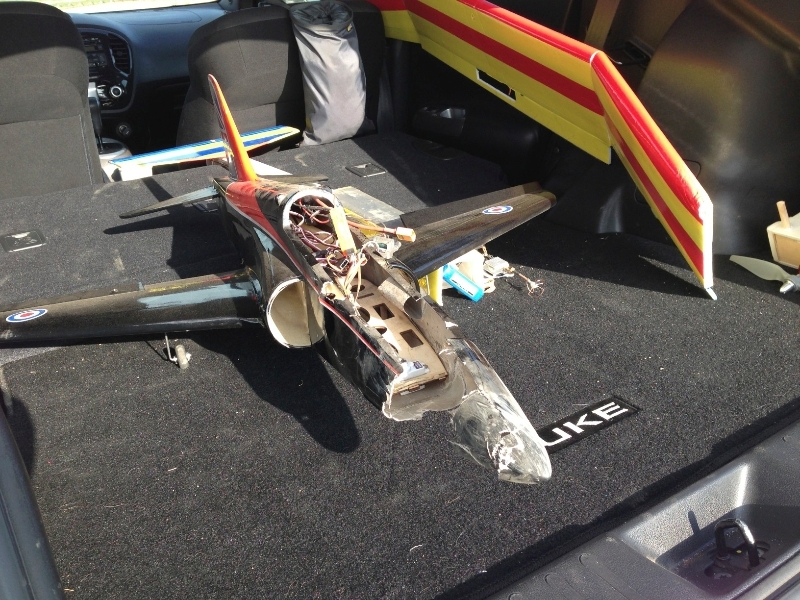 The damage isn’t too bad, just a shattered canopy and a busted nose section. 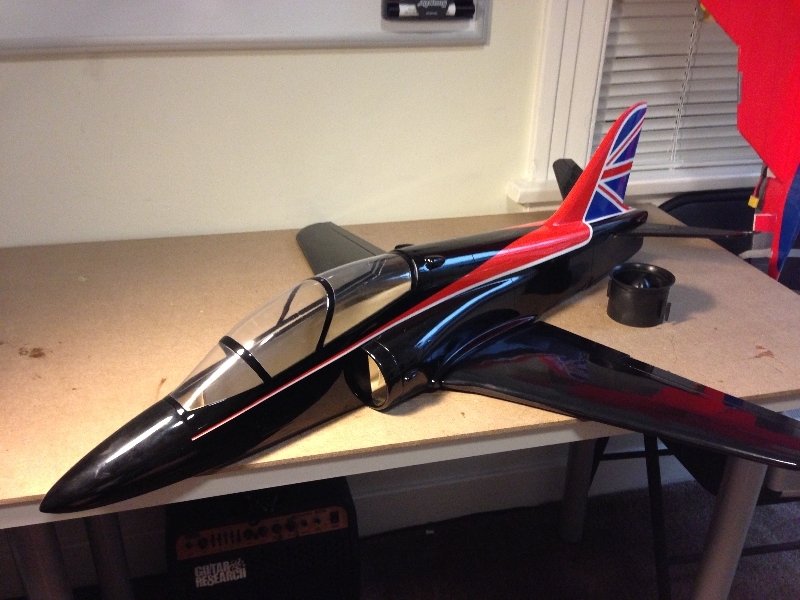 I ordered a new canopy, and I’ll start fixing the nose this week. 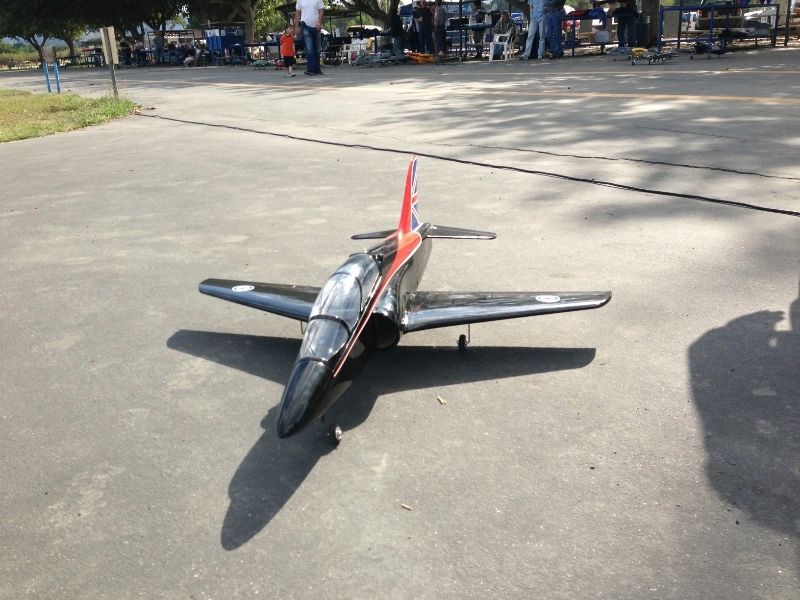 Hopefully flight #2 will go better. The center of gravity should’ve been set at 85mm behind the leading edge per the instruction manual, but the seller said it was wrong and it should’ve been set to 65mm. 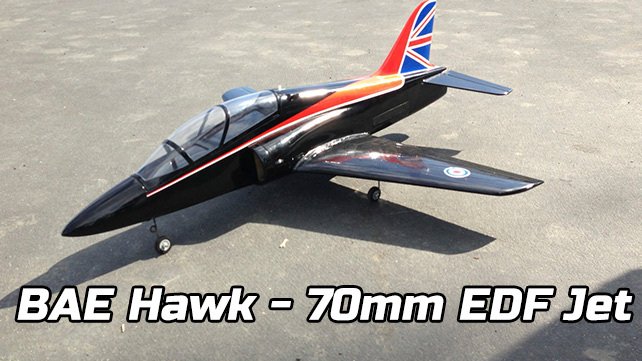 The manual for the E-Flite version of this plane says 80 – 90mm. 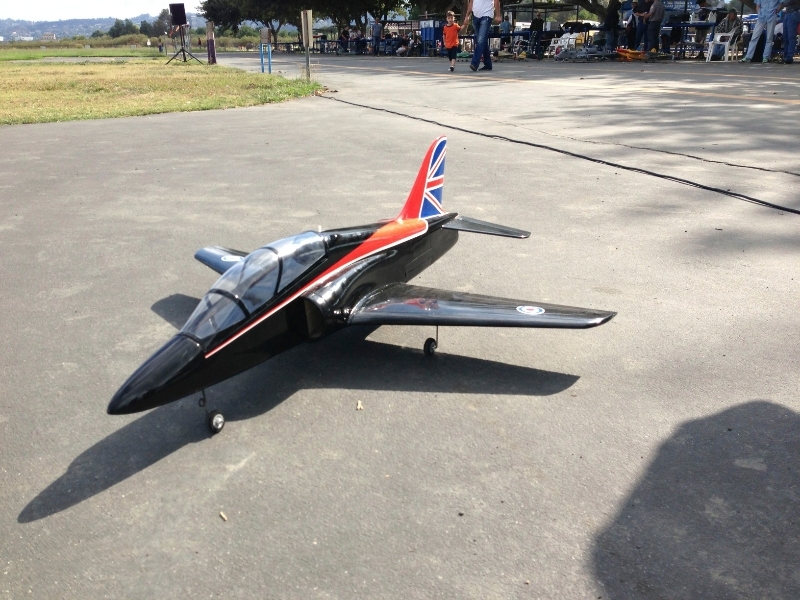 I balanced it at 65mm from the leading edge, after stuffing a 1000mah 3-cell in the nose to balance the plane, but after I crashed it, the very experienced fellow rc-enthusiast that was helping me out with the initial flight told me that it looked too tail-heavy. It seemed like I had too much throw on the ailerons, even though I lowered the throw to 70% with 35% expo, per said gentleman’s recommendation. What do you think happened? 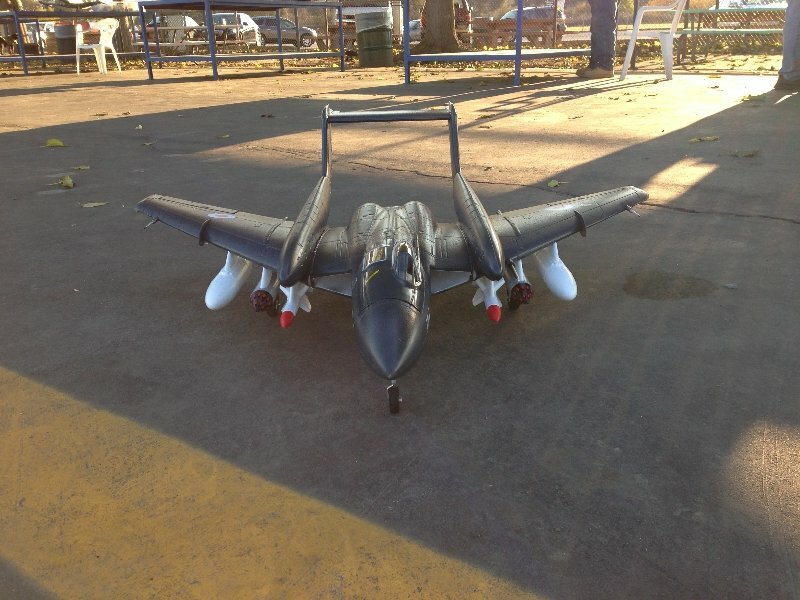 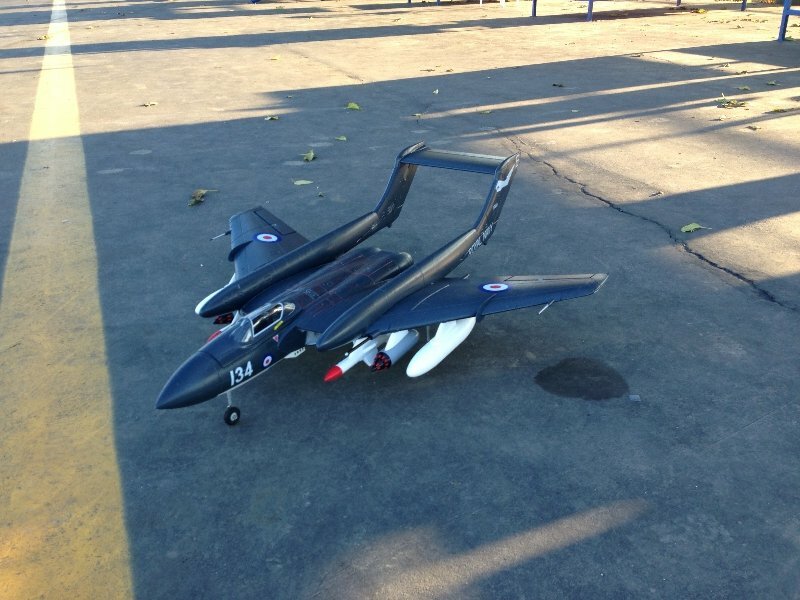 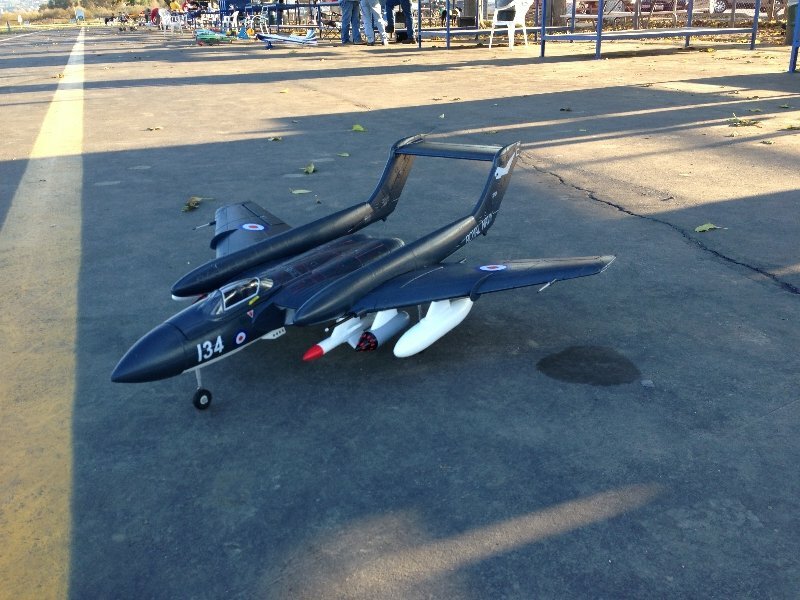 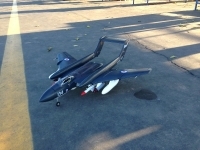 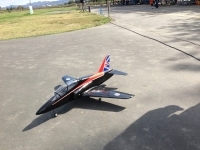 I have officially been bitten by the EDF jet bug, after flying the D.H. Vampire from Hobbyking. 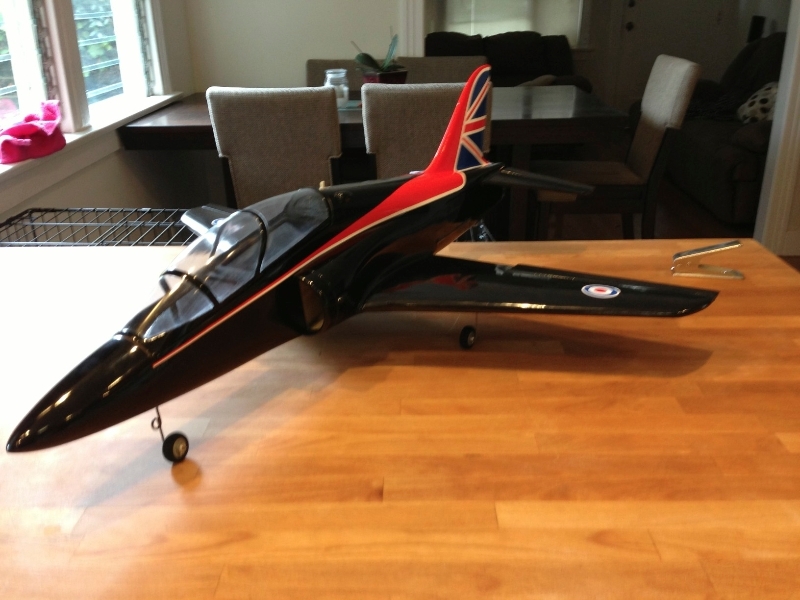 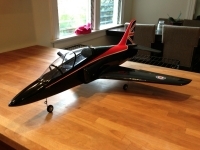 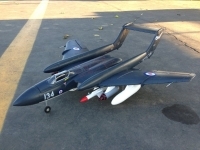 My latest model is a 70mm BAE Hawk, featuring a composite fuselage (fiber glass) and built-up balsa wings. 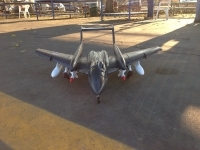 It is powered by a 6-blade ducted fan unit turned by a 3600 kv brushless motor. Putting it together took about 4 hours, with the installation of the ducted fan and all the electronics. It uses 5 9-gram servos, 2 for the ailerons, 2 for the elevator and 1 for the nose gear. 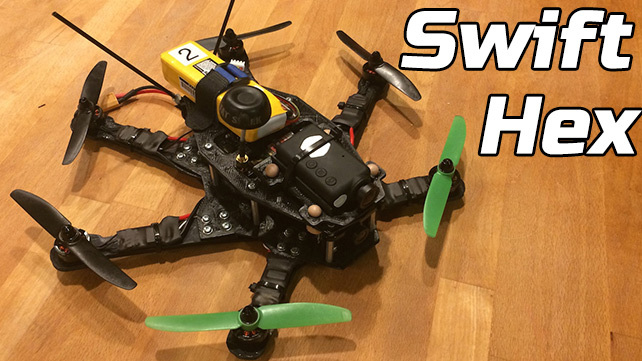 I flew it with a Nano-tech 2650 mah 4-cell LiPo battery on a 60 amp ESC with a BEC. The maiden flight didn’t go well, I crash after about 10 seconds of flight, due in part by what seems to be a bad balance (too tail-heavy) and too much throw on the elevator surfaces, even though I lowered them to 70% travel and I added 34% of expo.